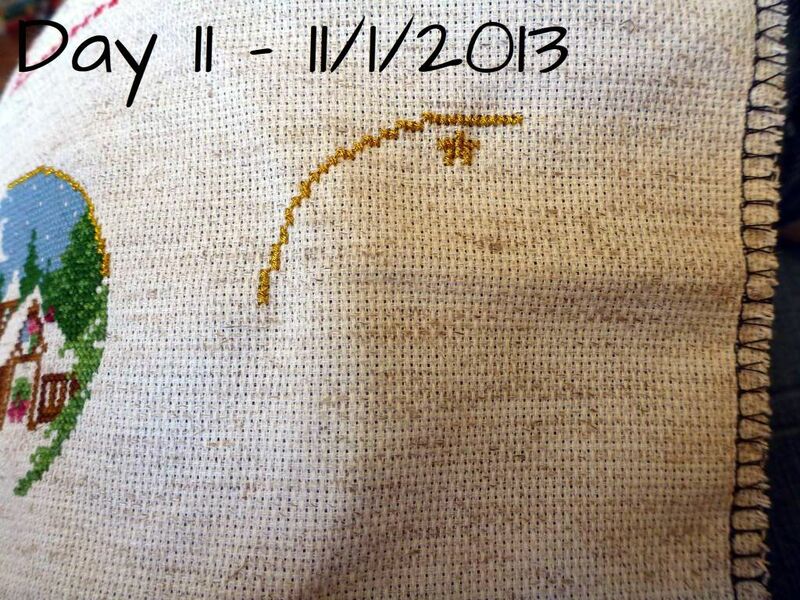 To start with I couldn't put down day tens start so I have a lot of progress on this one since Thursday. I did manage to START no. 11 but it isn't really much of a start. I started so I could say I started! 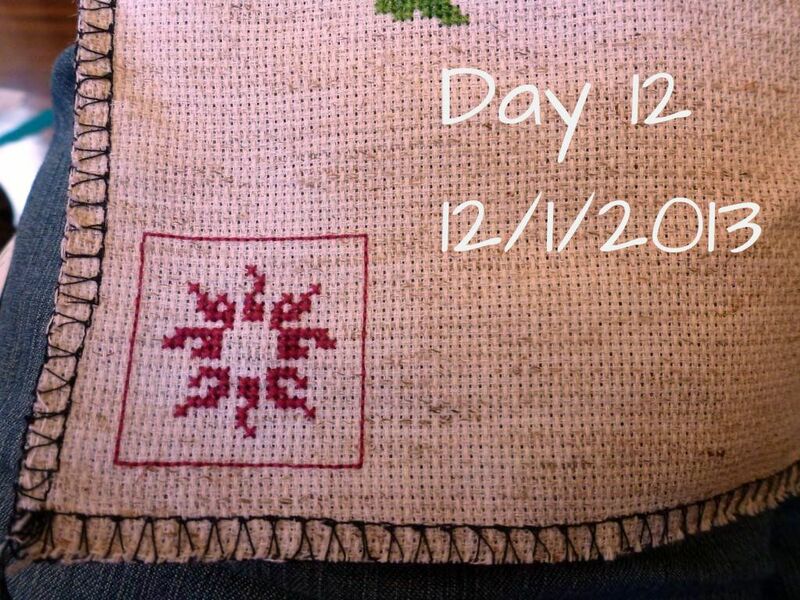 Day 12 is a really small start a poinsettia pattern from the Joan Elliott book which I felt like starting because it was smaller than the other ones. It will make a tiny cute ornament. Now to the important stuff in this post. 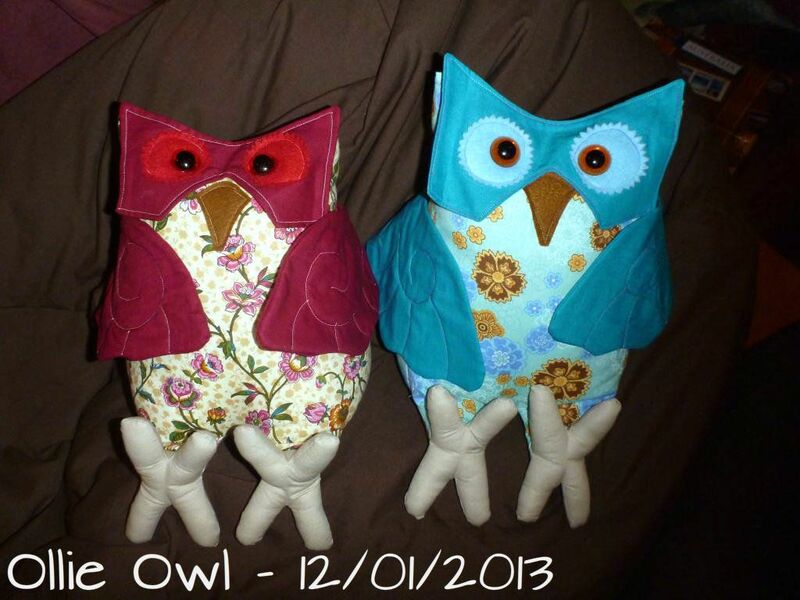 Back in October I bought an toy owl pattern from Funky Friends Factory. Just after Christmas I had a go at making one. 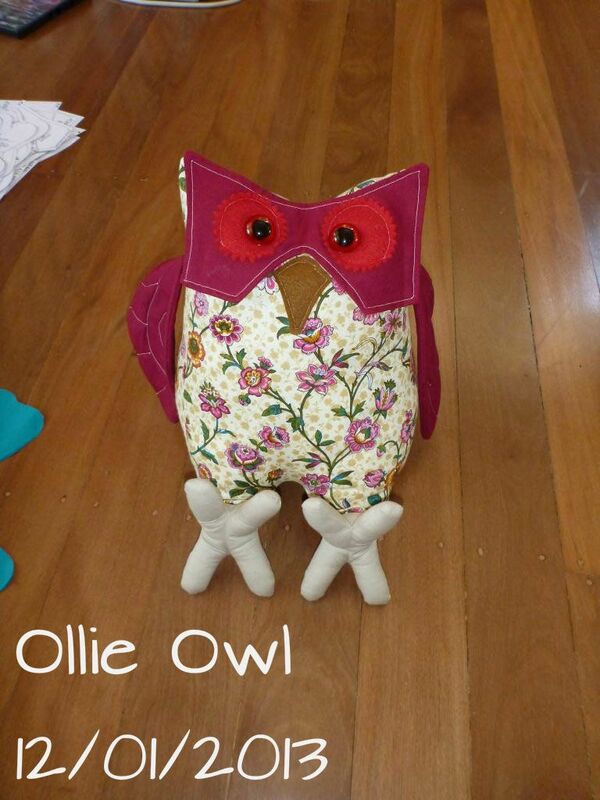 And here is Ollie owl ... I made lots of mistakes though it's not noticeable here. I had to unpick the wings and recut a side piece. I wasn't happy with what I did. SO today I made another one and took some progress pictures. 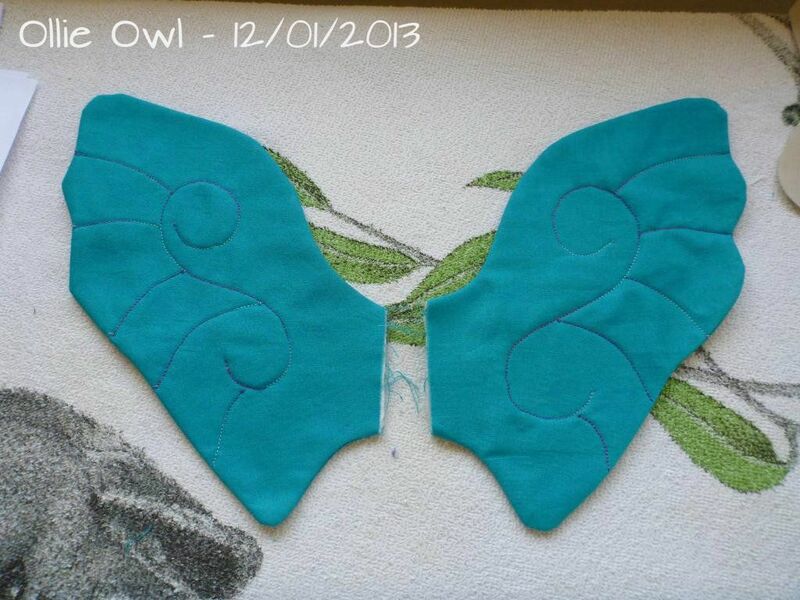 I used a variegated purple/blue thread to add the detail to the wings, tail and face. Then tonight both owls are sitting together on the bean bag watching TV. It was much better the second time around I didn't make as many mistakes. I love them both and I don't know whether they will ever leave this house. They are too cute. So that was my day. I was very busy for most of the day and avoiding doing any chores around the house. I will need to attack them tomorrow. I love the start 10! 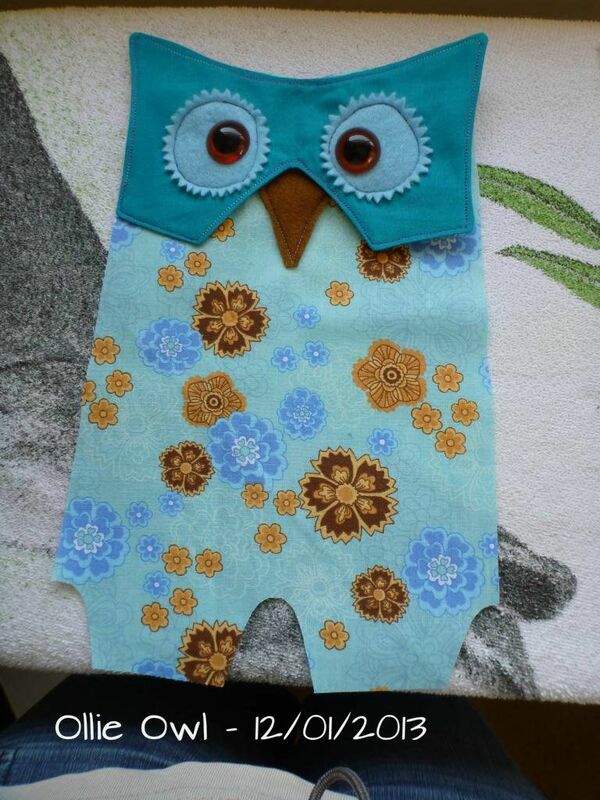 The owls look very cute, especially the 2nd one - It's the close up of its face that does it. 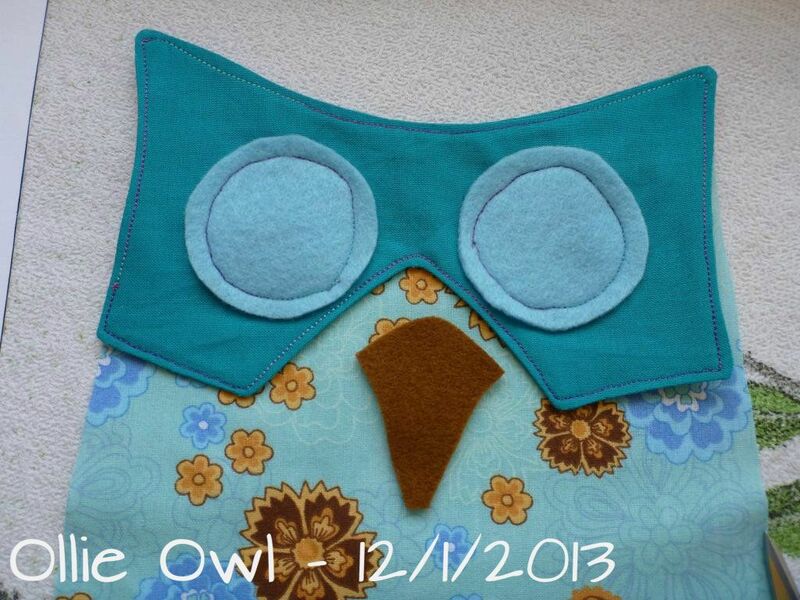 You got me at the word owl in the title :D All of your projects look great - and especially the owls, lol! 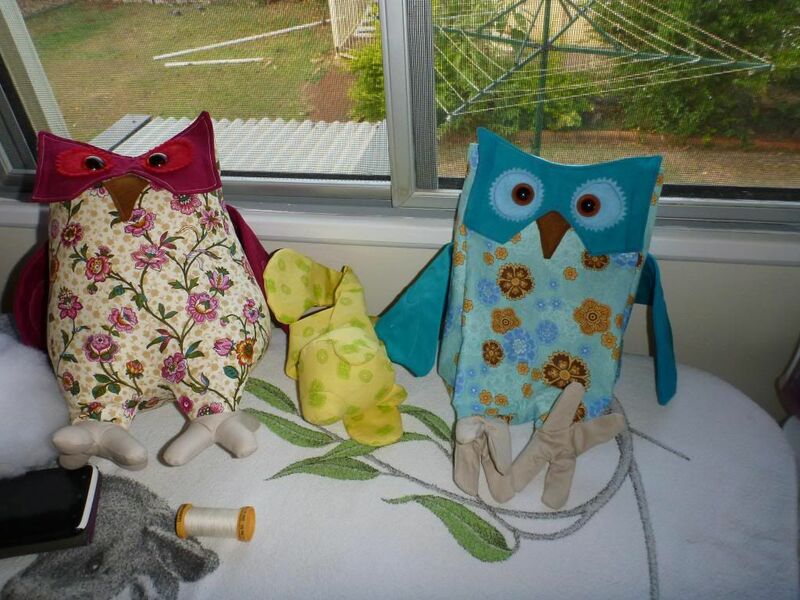 Your owls are adorable Caitlin. I too, love your day 10 start. Is that one from the Joan Elliot book also. 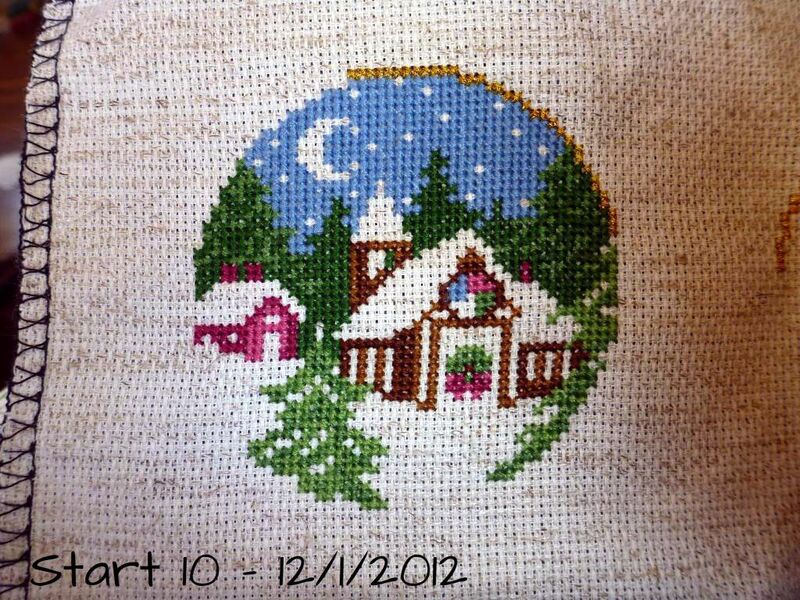 I would love to stitch that one. Great new start. 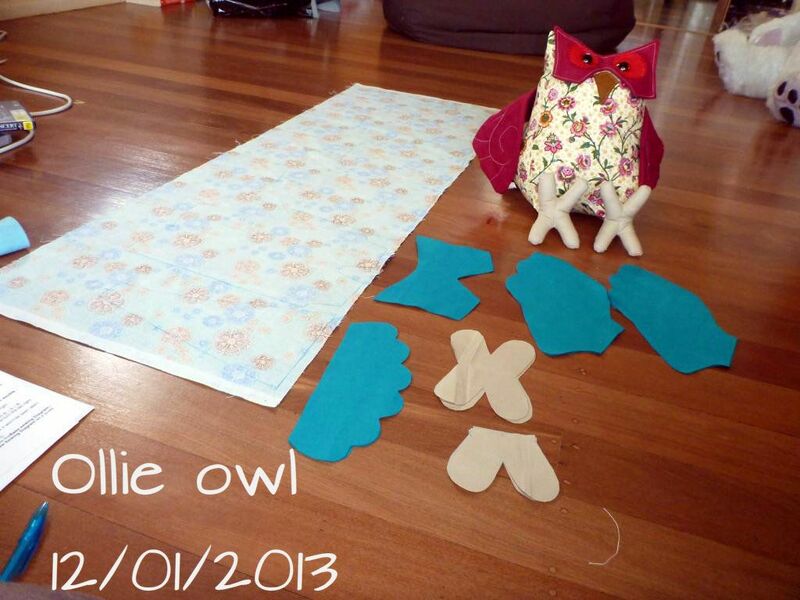 Great sewing of your Owls! Your house ornament is almost done. No wonder you couldn't put it down. 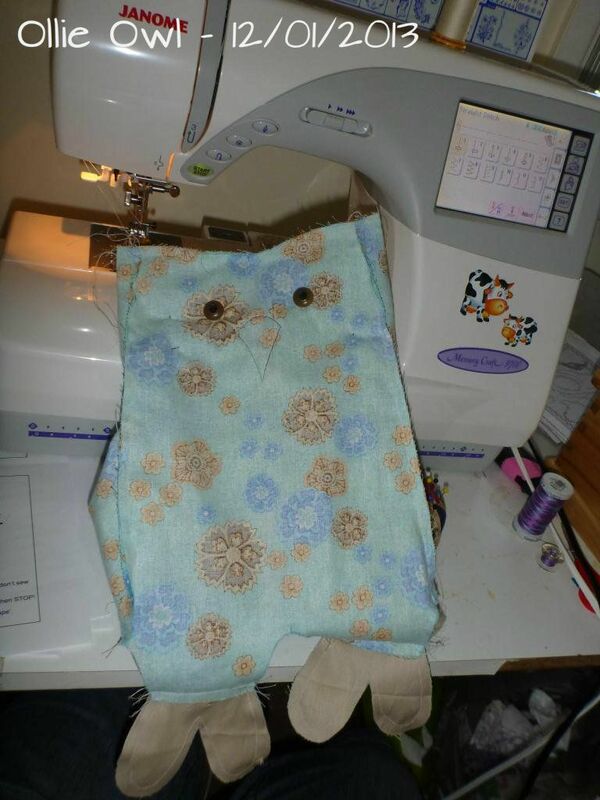 Your stitching looks great and I LOVE your owls! you did a great job on them.